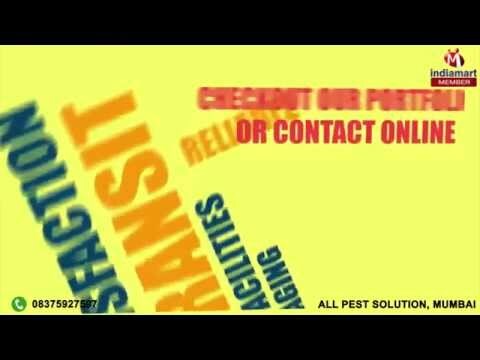 Welcome to All Pest Solution, established in the year 2003, we are one of the finest manufacturers, traders and suppliers of the finest range of Safety Net & Stainless Steel Spikes, All Pest Solution. The range made up of the finest Sport Net, Safety Net and Stainless Steel Spikes, has a high demand in the market. Its manufacturing involves the utilization of high grade raw materials and modern machines, in compliance with industry standards. Owing to this, the product has a superior sturdiness, finishing, durability, dimensional accuracy and is highly resistant to corrosion. In addition to this, we provide the finest Disinfestation, pest control and termite control services, at the most reasonable rate possible. Further, in the past decade, we have managed to attain a number of highly reputed clients, owing to our ethical work practices.